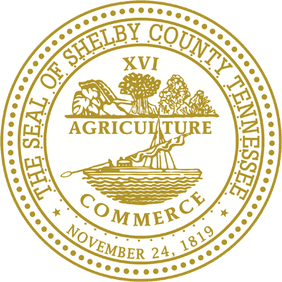 Safety and Justice Challenge Featured Jurisdiction: Shelby County, Tenn. This blog post is the fifth in a series highlighting jurisdictions across the country working to create fairer, more effective justice systems as a part of the Safety and Justice Challenge. Check back soon for our next featured jurisdiction! Located in western Tennessee in the Mississippi Delta, Shelby County has a population of almost one million residents, making it the largest county in the state. Shelby County is implementing several strategies to reduce its jail population safely, including adopting a new pretrial risk assessment tool, undertaking research and data collection on case processing to identify areas that contribute to increased stays in the jail and improving opportunities for release for individuals with behavioral health issues. What were some of the issues occurring in the Shelby County justice system that prompted you to apply for the Safety and Justice Challenge (SJC)? Shelby County identified three major issues when we first applied for the Safety and Justice Challenge in 2015. The first issue was a budgetary challenge. Over half of the Shelby County Sheriff’s Office total budget went towards staffing and operating the jail. We wanted to improve outcomes for justice-involved individuals and to reduce jail operating costs. The second issue was disproportionate minority contact. Shelby County’s total population is 53.1 percent black. However, a 2014 snapshot of the Shelby County jail population found that 87 percent of males and 74 percent of females were black – a result that showed disproportionate minority contact as an ongoing issue. We knew this issue needed to be addressed. We thought that since the Safety and Justice Challenge focused on racial and ethnic disparities, the challenge would be a great fit for our criminal justice reforms. Lastly, we identified limited mental health resources for people who are involved in the justice system. Limited resources or limited access to available resources result in higher rates of incarceration for people suffering from mental illness. This population is often jailed because there is no alternative available. These individuals will receive treatment and pharmacological services while incarcerated, but sending them to jail is not the right solution. We needed to find a better way to connect these individuals to community resources for treatment. What are the main drivers of your jail population? rosecution Unit dockets and an increase in the case processing time from Held-to-State to arraignment in Criminal Court (Held-to-State refers to those cases that are bound over to the grand jury and reflect mostly felony cases). There are many players involved in Held-to-State cases, including law enforcement, the district attorney and the criminal court clerk, which often leads to longer processing times. Can you give an overview of the programs, policies and practices that Shelby County has implemented as part of your SJC work? Our first strategy is to reduce case processing times for defendants charged with felonies. This includes conducting case processing research with the Justice Management Institute (JMI) to identify areas that contribute to increased stays in the jail. JMI also conducted court observations, had discussions with criminal justice system partners, conducted an interview protocol with several judges and in September facilitated a case processing roundtable using a sample of cases. Through this work, JMI has identified several case processing issues and proposed solutions that will impact the time to disposition and the jail population. In October 2018, JMI met with executive leadership to present issues identified and to discuss solutions to improve the flow of cases through the criminal justice system. The executive leadership included the sheriff, Shelby County mayor, district attorney general, chief public defender, a criminal court judge, a general sessions judge and representatives from the Memphis Police Department and the Criminal Court clerk office. Using the same stakeholders from the September roundtable, Shelby County also formed a case processing working group that will work in conjunction with the executive leadership to implement the recommendations proposed by JMI to help develop systemic reforms to address case processing delays. Our second strategy is to develop a uniform indigence screening process to provide earlier assignment of counsel for defendants with felony cases. Early assignment of counsel supports the work of case processing as well, so Shelby County has decided to combine it with the first strategy. We anticipate that cases will get resolved much sooner and Shelby County could see the jail stay for some defendants shorten by one to two weeks. 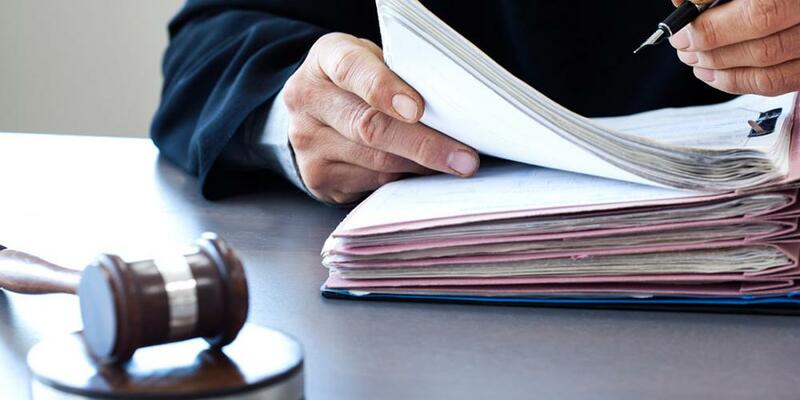 Our third strategy is to consolidate the court processing and initial trial dates for misdemeanor citations so they occur on one date rather than two. Misdemeanor citations can be issued by law enforcement for certain misdemeanor charges rather than arresting individuals and taking them to jail for minor offenses. Using a phased-in approach for the remainder of the year, the Memphis Police Department and Shelby County Sheriff’s Office will be issuing misdemeanor citations with only one date on them for both processing and their initial court date. The consolidated process will make it simpler for the community by requiring only one trip to the Criminal Justice Complex. This new process is expected to result in a decrease in failure to appear warrants, which will give the General Sessions Court more time to focus on more serious matters. Our fourth strategy is implementing a validated pretrial risk assessment. We partnered with the Crime and Justice Institute (CJI) to have a validation study of our current risk assessment tool done; a tool that has been in use for almost 30 years and had not undergone any type of validation. The outcome of the study was that the tool was not valid. As a result, Pretrial Services decided to adopt the Laura and John Arnold Foundation’s Public Safety Assessment (PSA). Our Safety and Justice site coordinator, JMI, received training from the Arnold Foundation and conducted onsite initial, introductory PSA trainings with various criminal justice agencies in September. We have also developed an implementation team consisting of a cross-section of stakeholders who will work together to develop a decision-making framework in order to make pretrial release decisions based on the outcome of the PSA. The framework recommendation will classify individuals based on their likelihood of returning to court and committing a new offense before trial. It is critical for this strategy to not only focus on implementing new tools, but to include stakeholders in the development process, as well as provide education on how these new processes work. Our fifth strategy is enhancing early release opportunities for defendants with behavioral health issues. In March 2018, we implemented the Brief Jail Mental Health Screen (BJMHS) at the beginning of the booking process to flag possible behavioral health issues. This was done because there were issues around the sharing of information from the local health assessment done by our jail medical staff with non-medical personnel in Pretrial Services. However, after a site visit from Policy Research, Inc., (PRI) we compared results from the BJMHS and jail medical assessment and saw that, unsurprisingly, the jail medical assessment showed more defendants with possible behavioral health issues. We decided to look into whether the results of the local assessment could be used and shared instead of using the BJMHS at booking. As part of this strategy, a counselor and a case manager/discharge planner (CM/DP) were hired. The counselor is part of Pretrial Services’ Behavioral Health Unit and will advocate for appropriate release options while the case manager/discharge planner will develop discharge plans that will connect these individuals to treatment in the community with the intention that they will remain stable for longer periods of time. After talking with the jail medical provider, the Health Department determined that the results of the local assessment could be shared with pretrial services because the new CM/DP is a medical professional. We anticipate discontinuing the BJMHS at the end of November 2018. We hope these changes will reduce the amount of time individuals with behavioral health issues spend in jail. Since the planning stage in 2015, all of Shelby County’s justice stakeholders have been involved including local law enforcement, the jail, General Sessions and Criminal Court judiciary, private and public defense, prosecution, etc. Shelby County has a history of strong collaborative relationships within the criminal justice community. Like many jurisdictions, there never seems to be enough funding to accomplish all of our goals, so our criminal justice community has worked together to make change happen. This collaborative foundation has served us well for the SJC efforts and these relationships have grown and improved through our time in the SJC. How is Shelby County using data and sharing information among agencies and systems to help with your Safety and Justice Challenge efforts? In 2016, our criminal justice data system, composed of the court case management and offender management systems, was replaced after five years of planning to create a new and improved data system. The new Integrated Criminal Justice Information System (iCJIS) is intended to enhance data sharing between the two systems. However, the implementation of this system required extensive effort and time from our IT staff. For our SJC solutions to decrease case processing and the validation of our risk assessment tool, we needed to do data pulls to get baseline measures. However, our county IT teams were still heavily involved in implementing the new system to ensure the daily needs of users were met. For that reason, we contracted with an outside vendor for these two data pulls, which ended up being a long process. We were able to complete the data pulls in early 2018 through that process and were able to make slight modifications in iCJIS so future requests for certain data points would be simpler. Our Misdemeanor Citation Consolidation strategy is running smoothly and all remaining precincts and divisions will be trained on using the new system by January 2019. Based on calculations using resources and expertise from the MacArthur Foundation and JFA, this strategy is expected to have a small direct impact on the jail population (less than 1 percent), but a significant indirect impact on criminal justice stakeholders by freeing up their time for more serious cases. The Behavioral Health strategy will also have a minimal impact on the overall population, but a significant impact on the recidivism of a small group of defendants that use a large portion of resources including jail beds and staff time. The counselor and case manager/discharge planner are now both on board, so we will begin tracking their results to ensure that this strategy is providing release opportunities by connecting individuals to treatment in the community. Together with JMI, we have finally completed all the necessary steps leading up to case processing solutions (data analysis and report, interviews, observations, etc.). The first meeting that involved discussing potential solutions was held at the beginning of October and we have a second meeting occurring in early November. This strategy will have the greatest impact on our average daily jail population (21 percent), but is also the most time consuming. We hope to have at least some components of this solution implemented by the end of the year if not sooner. The Public Safety Assessment is in progress. Inputting the PSA into our case management system for automation is still under review and will affect the timeline. Once in use, this strategy is expected to have a 1 percent impact on the jail population, but we are anticipating that number will be greater as the PSA will create more release opportunities. NACo would like to thank Chris Floyd, Shelby County’s Criminal Justice Coordinator, and Katy Mack, Shelby County Sheriff’s Office Grants Manager, for speaking with us about their efforts. This report was created with support from the John D. and Catherine T. MacArthur Foundation as part of the Safety and Justice Challenge, which seeks to reduce over-incarceration by changing the way America thinks about and uses jails. Vernon Smith is the Senior Associate for Justice in the County Solutions and Innovation (CSI) department. In this role, he will provide counties with educational programming on a range of issues addressing local corrections systems with the goal of helping counties more effectively and efficiently use public dollars.